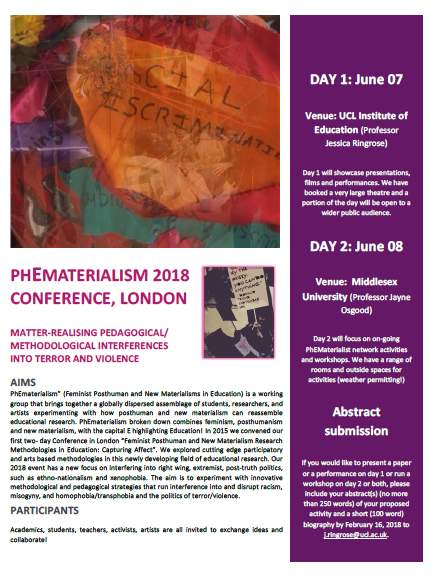 PhEmaterialism (Feminist Posthuman and New Materialisms in Education) is a working group that brings together a globally dispersed assemblage of students, researchers, teachers, artists experimenting with how posthuman and new materialism can reassemble educational research. There is no conference fee for presenters at the 2-day event. However, you will need to source funding for travel and subsistence. We are exploring options for limited bursaries to assist travel for some student presenters.